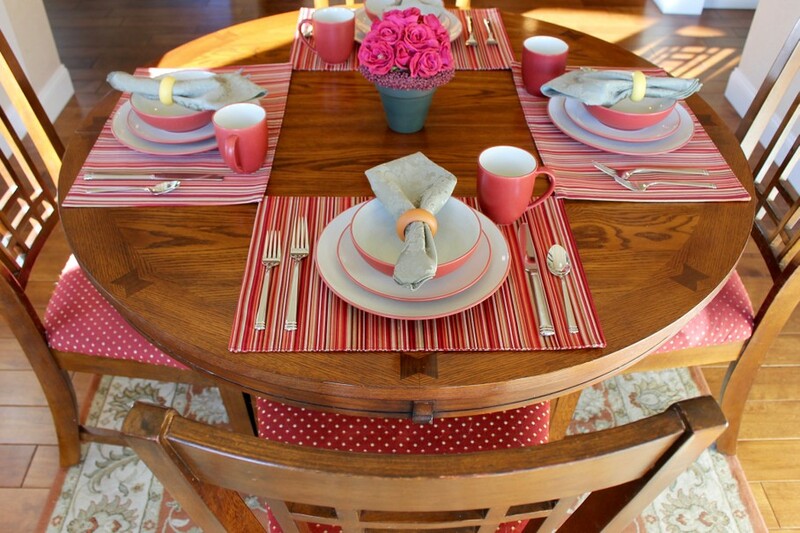 Create an inviting table for your friends and family to eat, drink, and be merry in five simple steps. You’ve invited your closest friends over for brunch on Saturday and you want everything to be just right. There’s bourbon vanilla French toast, freshly-cut fruit, apple cinnamon oatmeal, and honey butter croissants on the menu (and of course, Italian dark roast coffee), and you want a warm, sophisticated ambiance to match. If you have four-piece place settings but never use all four pieces, this is the perfect opportunity to set the standard for how to set a table that wows your guests. While it’s not a crime to stack a pile of plates and bowls on your kitchen island next to your breakfast buffet, it’s much more thoughtful and inviting to have place settings for each guest. It’ll ensure that your guests will feel appreciated and right at home as soon as they see the special settings you made just for them. Once you have all your supplies, follow this five-step place setting formula to make your brunch rival Martha Stewart’s. 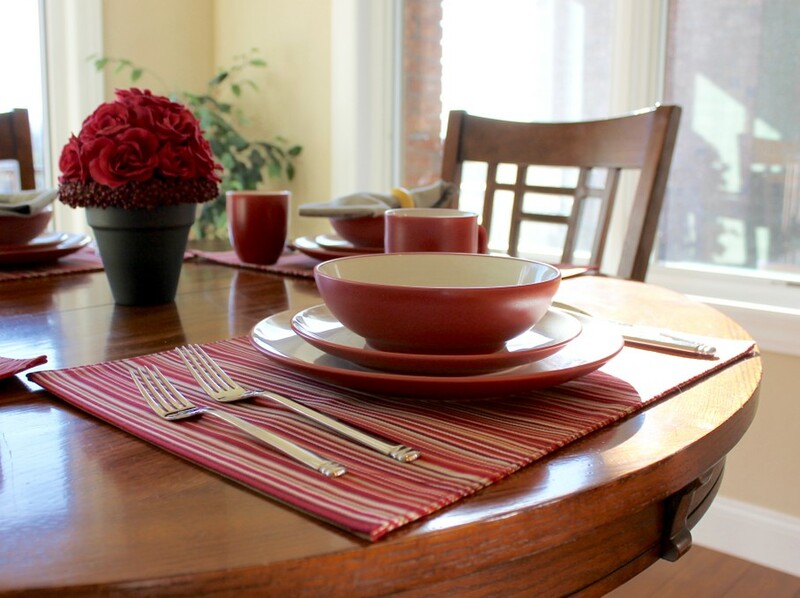 Before you arrange the dishes and silverware, it’s important to lay down a foundation to “frame” each place setting. 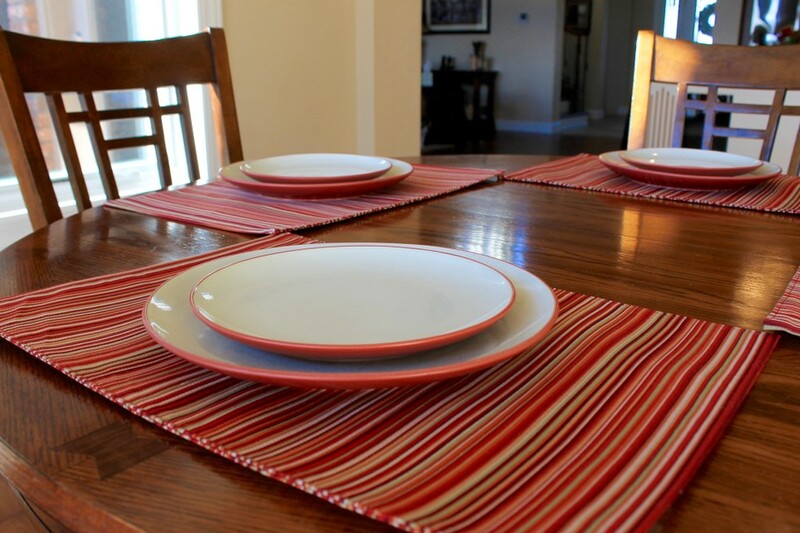 Rectangular placemats create an aesthetic contrast to the circular plates and bowls, and also provide individual platforms for the dishes, cups, and utensils in each setting. 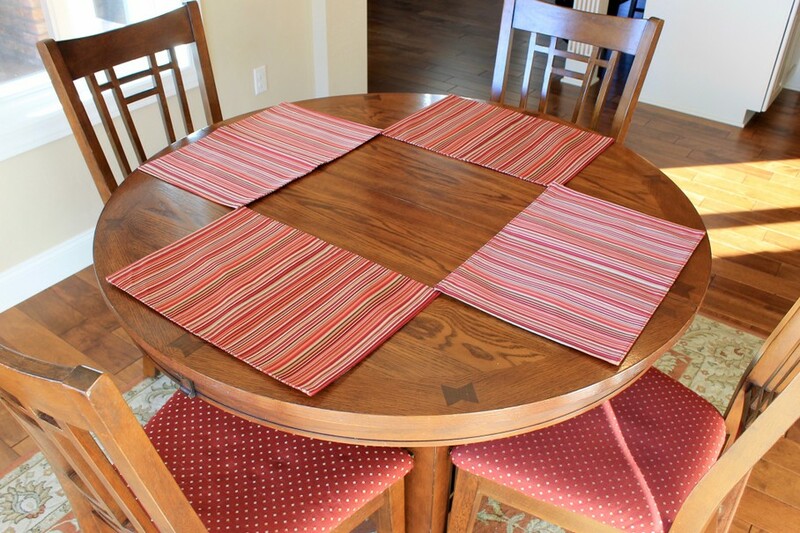 In addition to providing symmetrical perimeters at each seat, placemats add visual interest to a plain table with a touch of color and a distinct pattern. 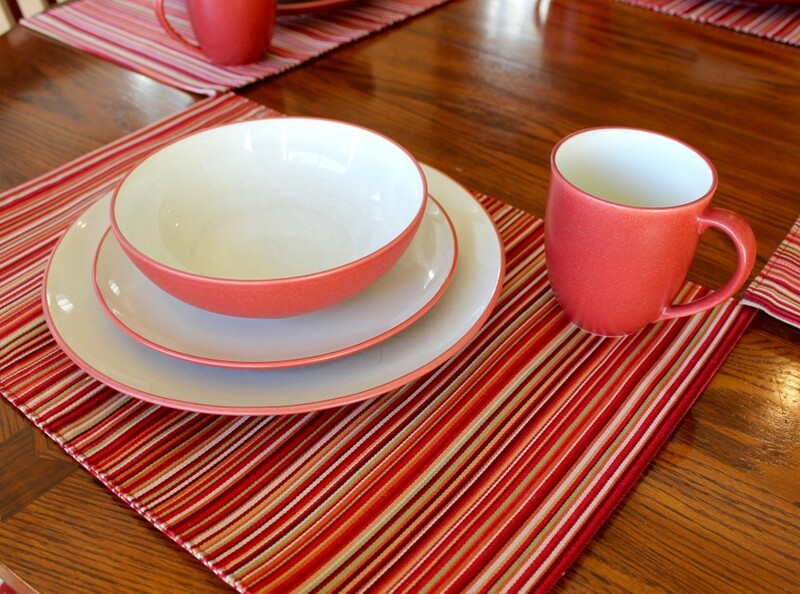 Be sure to choose mats with colors that complement the dish color as well as your kitchen décor. This is one factor that’ll bring your brunch gatherings up to the next level. The dishes for food will be stacked according to size, so the large plate goes first. This plate is for the main course (your mouthwatering vanilla bourbon French toast) and should be placed at the center of the placemat. Next, the smaller plate goes on top of the large one, and should be centered in the middle. When creating a place setting arrangement, it’s important to have a smaller plate for secondary food items (such as the fruit and croissants), so that everything isn’t overflowing off the main plate. Now that you have the plates in their proper places, put the bowl on top of the small plate. Again, make sure that each dish is centered on top of the one below it for a uniform look. If cereal and oatmeal are part of the brunch menu, it’s important to have a bowl that can hold at least one to two servings, plus any toppings (such as nuts, berries, and milk). After the bowls have been distributed, put a mug on each placemat at the top right-hand corner (near the 1 o’clock position). This is the final piece of the four-piece setting, and it’s important if you’re serving coffee, tea, and/or hot chocolate. Having a four-piece place setting with a “java” mug provides a perfectly matching cup for your freshly-ground Italian roast coffee (check another “win” off your to-do list), and provides your guests with everything that they need in one location. Now it’s time to put a bow on top of the gift by adding a chic, classy touch with a cloth napkin. 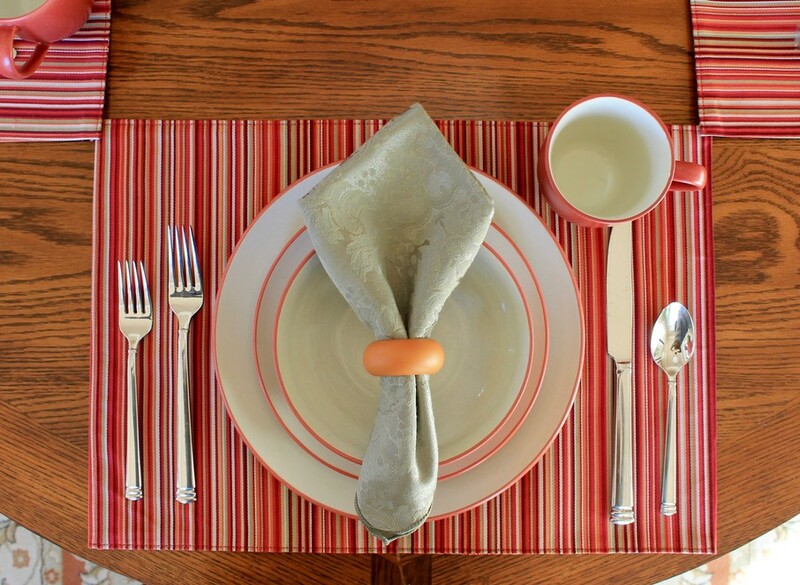 You can fold it to create a napkin design that sits upright inside of the bowl, or you can put it inside of a napkin holder that matches your placemats. This is one of the most critical steps because the cloth napkin creates a level of elegance with just a hint of formality to make each place setting shine. Last but not least, make sure that you provide a wide variety of silverware. A large and small fork, a butter knife, and a teaspoon are the perfect amount of utensils for a brunch since it’s less formal than a dinner place setting. If you’re unsure of where exactly to put these utensils, follow this simple template for proper placement of silverware in a place setting: forks go on the left side of the plate (with the smaller fork on the outside), and knives and spoons go on the right side of the plate. Once you have the silverware in the proper place, your table will be brunch-ready (and magazine-worthy). 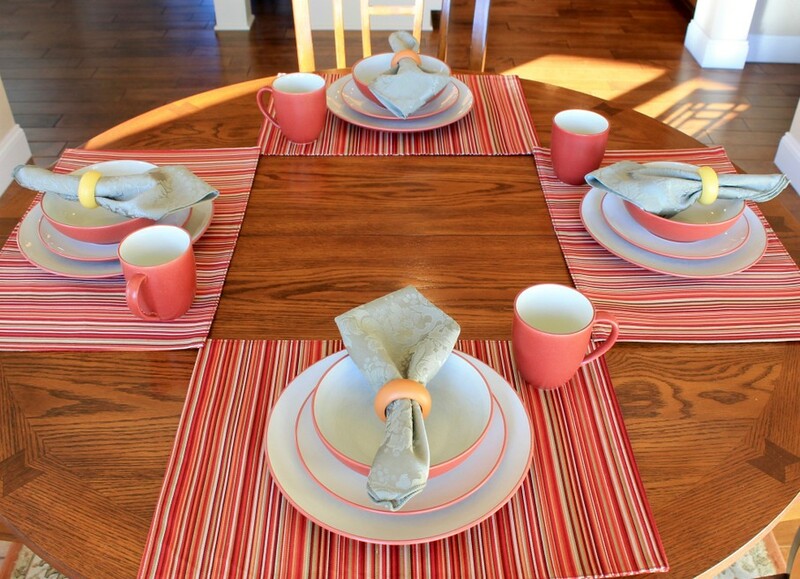 To really kick the display up a notch, you can add a centerpiece to the middle of the table for a pop of color that’s perfectly framed by the placemats. If you’re feeling ambitious, you can make a small floral bouquet with fresh cut flowers to bring a little bit of nature to your memorable morning gathering! With the right tools, you can quickly and easily create fabulous place settings for your brunch guests and win the coveted “Best Brunch Host” title. So dust off those four-piece place settings and let the brunch prepping begin!